193,180 page views over twelve months, updated daily. 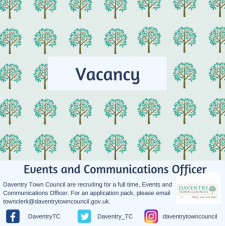 Daventry Town Council is looking to appoint a special individual who can develop, plan and deliver Town events by engaging with the community and partner organisations. This is a full time position and will require Saturday and occasional evening work. 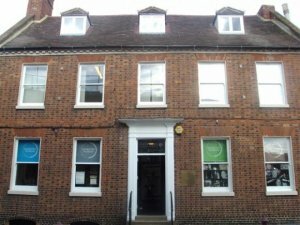 Daventry Town Council takes community safety very seriously and for the past 4 years has allocated over £50,000 of its annual budget in managing and maintaining a CCTV service for the Town. 'To the innermost heart of their own land they are known' (from the poem For the Fallen by Robert Laurence Binyon). On Friday 8th December the Spirit of Christmas arrived in Daventry, along with the snow. Those who braved the weather, enjoyed a variety of free activities including rides on a ferris wheel, a carousel, face-painting, a nativity photo booth and donkey rides. Then there was the magical and enchanting Santa's grotto and meeting Santa, an experience that touched the hearts of everyone who met him. 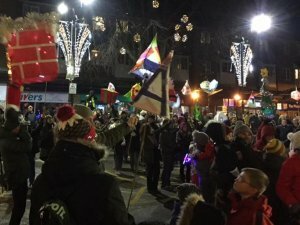 Daventry Spirit of Christmas and Lantern Parade is coming to Town this Friday 8th December with a variety of free events and activities for all to enjoy. 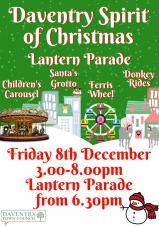 Festive fun starts at 3pm in the Town Centre with a Children's Carousel, Ferris Wheel, Donkey rides and face painting. Your Police and Crime Commissioner, Stephen Mold, will be visiting Daventry Town, to explain his role and take questions from members of the public. 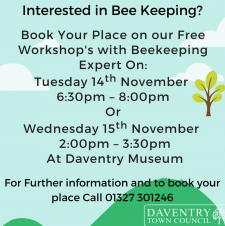 Places are limited so please contact Daventry Town Council on 01327 301246 to advise your attendance. 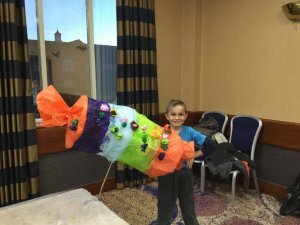 Big THANK YOU to Homebase, Daventry for donating lantern making materials and Mercure Daventry Court Hotel, for giving us two fantastic rooms to enable everyone who attended the lantern making workshops to be at their creative best. Daventry Town Council's annual Firework Display which took place on Saturday 4th November 2017 at The Parker E-ACT Academy was a resounding success. 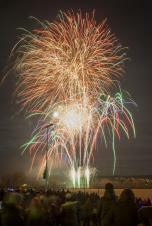 Thousands came to watch the fantastic firework display set to music by Daventry company MLE Pyrotechnics. and The Parker E-ACT Academy playing fields and a full moon provided a stunning backdrop for the event. 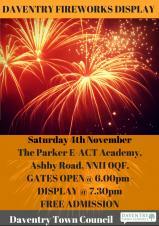 The countdown is on for Daventry Town Council's annual firework display taking place on Saturday 4th November 2017 at The Parker E-ACT Academy, Ashby Road, Daventry, NN11 0QF. Admission is free, and everyone is welcome to watch the fantastic firework display which are set to music by local company MLE Pyrotechnics. 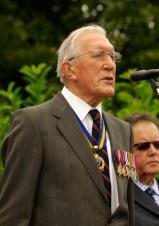 The gates will open at 6.00pm with the display starting at 7.30pm. XHTML 1.0 validated. WCAG compliant. Page generated in 0.1063 seconds.